Interview with Rethinking Russia, “Interview with Gordon Hahn about ISIS,” Rethinking Russia, 31 August 2016, http://rethinkingrussia.ru/en/2016/08/interview-with-gordon-hahn-about-isis/. “Washington Post Urges More Jihadi Chaos,” Gordonhahn.com Russian and Eurasian Politics, 30 November 2015, https://gordonhahn.com/2015/11/30/washington-post-urges-more-jihadi-chaos/. “Leading Global Jihadi Authority Maqdisi Issues Fatwa to Shore Up Struggling Caucasus Emirate,” Gordonhahn.com Russian and Eurasian Politics, 28 May 2015, https://gordonhahn.com/2015/05/28/leading-global-jihadi-authority-maqdisi-issues-fatwa-to-shore-up-struggling-caucasus-emirate/. “Gimravii – New Caucasus Emirate Amir?,” Gordonhahn.com Russian and Eurasian Politics, 27 May 2015, https://gordonhahn.com/2015/05/27/gimravii-new-caucasus-emirate-amir/. 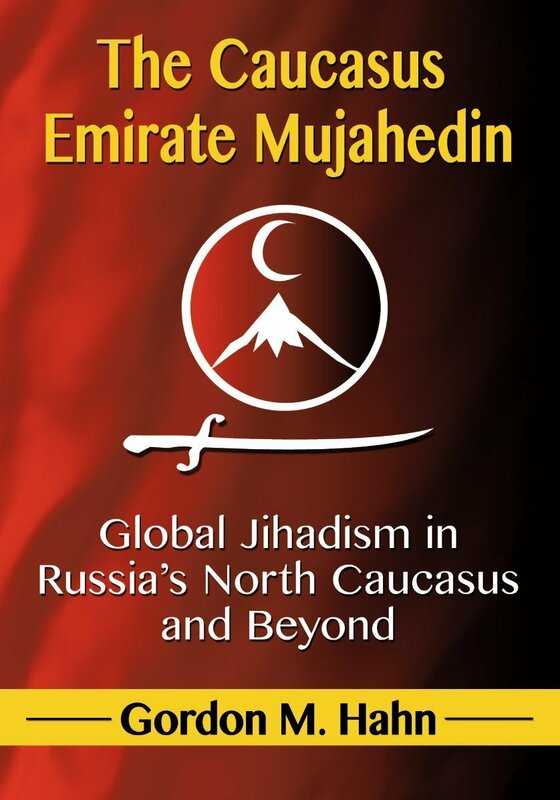 BOOK: The Caucasus Emirate Mujahedin: Global Jihadism in Russia’s North Caucasus and Beyond (McFarland Publishers, 2014). “A Profile of Jund Sham (Junoud al-Sham) Amir ‘Abu Walid’ Muslim Margoshvili,” Geostrategic Forecasting Corporation, 19 December 2013, http://geostrategicforecasting.net/gordonhahn/2013/12/19/84/. “From the Caucasus to Boston: The Caucasus Emirate Mujahedin and the Boston Marathon Attack,” World Affairs Council of Monterey Bay, California, 24 June 2013. Islam in Russia, Center for Strategic and International Studies Report for, and funded by the U.S. National Intelligence Council), May 2013 (co-authored with Sergei Markedonov, Andrew Kuchins, and Jeffrey Mankoff). “Islamism in the Russian Federation,” World Almanac of Islamism, 2012, Revised edition (Lanham, Md. : Rowman and Littlefield Publishers and American Foreign Policy Council, almanac.afpc.org/Russia, 2013). CONFERENCE PRESENTATION “The Caucasus Emirate and Its Implications for Russian, U.S., and International Security,” International Conference on Russian National Security Issues, Strategic Studies Institute, U.S. Army War College, Carlisle Barracks, PA, September 26-27, 2011. “The Bioterrorism Threat in the Russian Federation,” in Rebecca Katz and Raymond A. Zilinskas, eds., Encyclopedia of Bioterrorism Defense, Second Edition (Hoboken, N.J.: John Wiley and Sons, Inc., 2011), pp. 581-584. CONFERENCE PRESENTATION “The Caucasus Emirate Mujahedin: 5 Myths,” International Conference “The Northern Caucasus: Russia’s Tinderbox,” Center for Strategic and International Studies, Washington, D.C., November 30 – December 1, 2010. CONFERENCE PRESENTATION “The Caucasus Emirate: Russia’s Unknown Jihad and ‘Leaderless Jihad’,” International Studies Association and American Political Science Association Conference “Insecurity and Disorder: Challenges to the State in an Age of Anxiety,” Panel Discussion “Leaderless Jihad,” 17 October 2009, Naval Postgraduate School, Monterey, California. “The Russian Federation,” in Barry Rubin, ed., Guide to Islamist Movements Vol. 2 (Armonk, N.Y.: M.E. Sharpe, 2009), pp. 493-518. CONFERENCE PRESENTATION “Jihad in the North Caucasus,” Center for Civic Initiative’s Tenth Anniversary Retreat and Conference, 21 September 2008, Asilomar, California. CONFERENCE PRESENTATION “Russia’s Islamic Threat,” Debate at National Security and Intelligence Conference, Centra Corporation, 24 April 2008, Arlington, VA.
“The Jihadi Insurgency and the Russian Counterinsurgency in the North Caucasus,” Post-Soviet Affairs, 24, 1 (January-February 2008): 1-39. 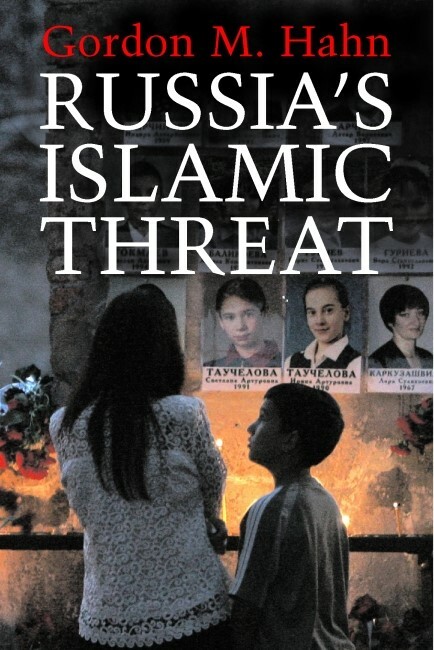 BOOK: Russia’s Islamic Threat (New Haven and London: Yale University Press, 2007). PANEL PRESENTATION “The Islamist Threat in Putin’s Russia,” Panel: “How Vulnerable Is Putin,” American Association for the Advancement of Slavic Studies Annual Convention, 4 November 2005, Salt Lake City, Utah. “Putin’s Muslim Challenge,” The Russia Journal, 25-31 January 2002.